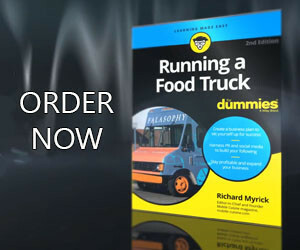 Are you in the market to begin the process of buying a food truck? Before you jump in a lay down a deposit for a custom food truck or start looking for finance options, the first thing you will need to do is to determine what type of platform (food truck, trailer, or cart) will work the best for your mobile food business. Before buying a food truck, you need to understand your menu and what equipment it requires to make it? If your food truck menu requires that you need a flat-top grill, fryers, pizza oven, Hobart mixer or other assorted kitchen equipment, you may want to use a food truck or full-sized trailer. How many sales a day are you planning? The more sales you intend to make on a daily basis, the more storage space you need. Smaller platforms, such as food carts, can sell as much as a food truck or trailer; however, you may need to make multiple trips to your kitchen to keep yourself stocked to meet your sales needs. What are the local parking ordinances? Every city has its own set of parking restrictions related to the mobile food industry. Some allow for trucks to stay in one location for a brief period of time, and others keep vendors from parking near brick-and-mortar restaurants. Check with your local municipality to find out what applies to you. If you can park only in certain areas for limited times, look at food truck options that allow you to quickly pick up and move to another location without the need of another vehicle to tow your establishment to your next stop. What type of atmosphere does your concept require? Does your concept include being part of a stationary group of food carts (also known as cart pods as found in Portland, Oregon, or Ann Arbor, Michigan) or trailers (as in Austin, Texas), or do you need to be on the road, moving from location to location throughout the day? If you need to be more mobile, a food truck is a great option. What are the local food truck size restrictions? If you plan to use a food truck, you need to know the vehicle restrictions for your area. Some cities have limits on the height or length of food trucks (Washington DC), so you have to consider the length of vehicle you use. How big are the parking spots you plan to sell from? Food trucks can vary in length from 10 to 26 feet long, and a 16-foot trailer being towed by a pickup truck can extend even longer. The last item to consider before buying a food truck relates to the number of employees you will have. How many staff members will you need to operate your food truck? If you determine that you need more than two or three employees to operate your mobile business, you may not be interested in operating a food cart with only 120 square feet of floor space. Food trucks and trailers have much more room for equipment, storage, and staff members. The advantage of a smaller staff allows you to get a much smaller platform, which makes it easier to fit into tighter parking spaces and even save money on the fuel you need to keep it moving. You MUST answer these questions before buying a food truck no matter if you plan to purchase a truck from a custom food truck builder or plan to do the build out yourself.